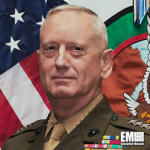 James Mattis, retired U.S. Marine Corps general, is among the top candidates as the next defense secretary under president-elect Donald Trump’s incoming administration, CNN reported Monday. The channel noted that the National Defense Authorization Act will prevent Mattis from an immediate appointment to the defense secretary position unless he receives a waiver from Congress. “This is a very tough warrior who is a strategic thinker that thinks about the second and third order effects of every decision when you use your military,” said Mike Rogers, a former House Intelligence Committee chairman. Tags Congress Donald Trump featured govcon House Intelligence Committee James Mattis John McCain Mike Pence Mike Rogers National Defense Authorization Act U.S. Marine Corps.